The swing: baby bliss, parental bliss. This is one piece of equipment that you won’t want to do without, especially if you have one at home! Because some babies like to be rocked to sleep slowly, while others like something a bit stronger, we’ve chosen swings that have variable speeds and rocking patterns. Our swings & gliders can soothe your baby two ways, by swinging back and forth like a traditional swing or side-to-side like a cradle. 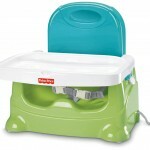 It’s easy to switch the seat from a swing to a cradle – just push a button and turn the seat. Some babies like music while others like peace and quite, and our swings play a variety of songs and have a volume control so you can turn that music up, make it soft, or operate the swing with no sound at all. In addition to music, the swings also play tranquil sounds, like crashing waves, running water and pouring rain. Some swings & gliders have 2 positions: an upright position for older babies and a recline positions for newborns who are not yet able to hold up their head. 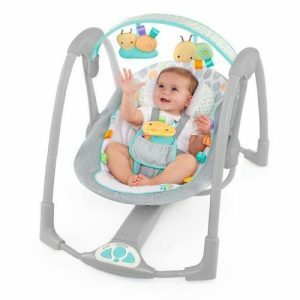 The recline position is also great for older babies that fall asleep in the swing, and we’ve never met a baby that doesn’t fall asleep in these swings! The swings have a 5 point safety harness and a removable toy bar.